Many wine enthusiasts love Va Piano Vineyards. The tasting room in Walla Walla is always packed with people having fun. The reason is simple: Va Piano offers a talented winemaker, amazing wine, and fantastic staff who provide an excellent wine experience. 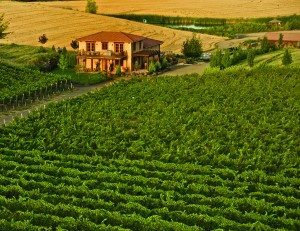 Those are the reasons this winery makes our list of Favorite Washington Wineries every year. Yes, we know Taste Washington is not officially or unofficially called “the Super Bowl of Wine Events.” But for more than a decade, we have bestowed that title on the country’s largest single-region wine and food extravaganza. This year, Taste Washington features more than 235 wineries, 65 restaurants and some of the nation’s top chefs. So run, don’t walk to get your tickets. You do not want to miss this explosion of tastes, fun and education on March 28-31 in Seattle. 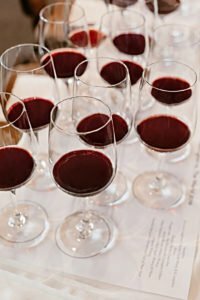 The event is the result of a continued partnership between Visit Seattle and Washington State Wine. 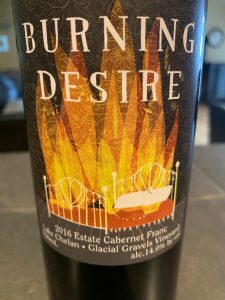 Year after year, Burning Desire Estate Cabernet Franc from Hard Row to Hoe is one of our favorite Washington state Cab Francs. The 2016 vintage is no exception. First, this fine wine from the Lake Chelan AVA is beautiful, rich, concentrated and elegant. Deep purple in color, the wine features notes of bright raspberries, violets, pencil lead, bell pepper and herbs. Classic Cab Franc from a unique Washington state winery with a memorable brand. While definitely drinkable now, we suggest decanting it first. Or if you have patience, put it down for a couple of years. It will be worth the wait. And considering the name, don’t you think this wine would make a great Valentine’s Day present? We recently sat down with Gilles Nicault, talented winemaker and director of winemaking and viticulture at the highly acclaimed Washington winery, Long Shadows. Gilles, whom we’ve known for years, took time out of a busy day at the end of harvest to chat with us at the Walla Walla tasting room. He also poured us a selection of the exquisite current releases. Not surprisingly, we were impressed with each one of them.